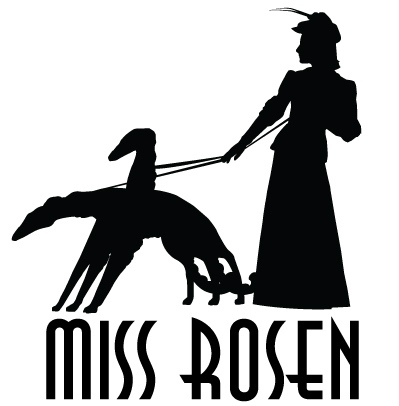 Writer, Curator and Brand Strategist @ Miss Rosen based in New York City Sara Rosen portfolio on Visura - a professional network to connect with photo editors and art buyers, and build photography portfolio websites. Visura members, like Sara, share photojournalism, art photography, landscape, travel photography, portraits and more. Sara has 30 projects, community news posts, and 0 images shared in the photo stream. By Sara Rosen — Written by Sara Rosen “Only in New York, kids, only in New York.” American columnist Cindy Adams’ famed bon mot could easily caption any..
By Sara Rosen — “The number one thing going for me is the email. We get so many submissions. That’s the most fun part. I’m in constant contact with people..
By Sara Rosen — Los Angeles native and photographer Sean Maung is releasing his eleventh zine, All Knowing, a love letter to the people of his hometown. From block..
By Sara Rosen — Sunday, February 19, marked the 75 th anniversary of the Japanese internment, whereby the United States government set up ten camps during World..
By Sara Rosen — When punk hit San Francisco in the late 70s, it spawned a vibrant underground movement that embraced the Do-It-Yourself ethos of the era. Local..
By Sara Rosen — In the course of his lifetime, British scientist and inventory William Henry Fox Talbot (1800–1877) developed the process for drawing with light,..
By Sara Rosen — There are those times when I do not have words, when the emotion is to visceral to translate into ideas. For those times, I am grateful for..
By Sara Rosen — On February 1, Donald Trump kicked off Black History Month with a breakfast meeting where he quixotically announced, ”I am very proud now that we..
By Sara Rosen — Crave fave Awol Erizku has made headlines worldwide as the artist who photographed Beyoncé’s pregnancy photographs. The superstar wowed the..
By Sara Rosen — The Gordon Parks Foundation has named photographer Devin Allen as one of two inaugural recipients of a new fellowship program . Allen, who was born..
By Sara Rosen — Some photographs are so emblematic that all you need to do is say the word and you can see the image in your mind’s eye. Think of Marilyn..
By Sara Rosen — It was written. And then it was lost. But prophecies must reveal themselves. This is the story of serendipity, of miracles, of discovery that can..
By Sara Rosen — “I picked up a camera because it was my choice of weapon against what I hated most about the universe: racism, intolerance, poverty. I could have..
By Sara Rosen — If the soul of America made a sound, it would sing the Blues from dusk til dawn. It is, deep beneath the plastic veneer of appearances, the truth..
By Sara Rosen — As we enter a brave new world filled with threats unfolding against the citizens of this nation by the very hand of the government it purports to..
By Sara Rosen — In the Tao Te Ching, Leo Tzu observes, “Nature does not hurry, but everything is accomplished,” recognizing the way in which the Universe..
By Sara Rosen — Ming Smith is the quiet storm, her photographs evoking the soul of Billie Holiday’s music in photographic form. She has lived as an artist all..
By Sara Rosen — On April 4, 1968, James Earl Ray assassinated Dr. Martin Luther King, Jr. Thirty-one years later, in 1999, a jury of six whites and six blacks..
By Sara Rosen — When the future is bleak, denial only delays the inevitable—and can often make our fall from grace that much harder. But for those who cast..
By Sara Rosen — Israeli photographer Yoav Horesh remembers a formative moment many years ago while walking with his father through a pedestrian mall in downtown..
By Sara Rosen — The longest-running art fair in Los Angeles, photo l.a. , returns for its 26th season, January 12-15, 2017 at The REEF, located in the historic LA..
By Sara Rosen — Although the photographer usually stands behind the camera, they are present in every shot they make, from the choice of subject matter and the..
By Sara Rosen — The beauty of liberation is that it is a deeply personal affair, requiring none but ourselves to realize. In many ways, it is a test of courage..
By Sara Rosen — For a photography aficionado, there is nothing quite so thrilling as looking at contact sheets. It is like reading a diary, delving into private..
By Sara Rosen — Cuba, the Violet Isle—a name known to few for the rich color of its fertile soil, is an island that has captivated the imagination of the world..
By Sara Rosen — American photographer Robert Mapplethorpe would have celebrated his seventieth birthday this year. It’s impossible to fathom the loss that his..
By Sara Rosen — Could there be anything greater than combining your passion and your love—and get paid for doing so? American photographer Henry Horenstein would..
By Sara Rosen — American photographer Susan Meiselas joined Magnum Photos in 1976, after creating Prince Street Girls and Carnival Strippers, two bodies of work..
By Sara Rosen — Although the Federal court ruled for a delay in the construction of the Dakota Access Pipeline (DAPL) on November 14, the police action against..
By Sara Rosen — Harlem. The name speaks for itself, eliciting images of African-American life in its many-splendored forms throughout the twentieth century. Harlem..